Less than a week ago, the University of Miami’s season came to a halt in a crushing 20-point, first-round loss to the Michigan State Spartans that eliminated the Hurricanes from the NCAA Tournament. It was a heartbreaking defeat for the Canes, reflected in their faces when the final buzzer sounded. The Spartans dominated in almost every facet of the game. Many analysts expected this to happen, given Michigan State’s superior level of experience in March Madness. 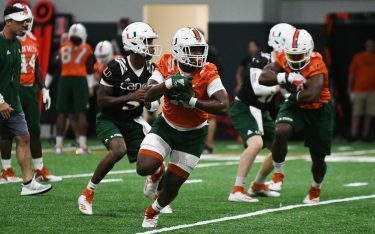 Others felt, that despite being inexperienced, Miami had the young talent to overcome inconsistencies exhibited early in the 2016-2017 campaign. Now that it’s all over, students have had time to reflect and come to their own conclusions on how they feel UM performed as a whole this season. Sophomore Brian Mulligan felt the year was a success, considering the fact that the team had just nine scholarship athletes eligible to play, two seniors and no true point-guard. He wasn’t the only one. Miami lost four seniors from the previous season – its two leading scorers in Sheldon McClellan and Ángel Rodríguez, its best defender and rebounder in Tonye Jekiri and one of its top shooters in Iván Cruz Uceda. The departures left college basketball analysts across the country wondering how the Canes would fare. Junior Jolie Starr, however, believes Coach Jim Larrañaga and his team met expectations. 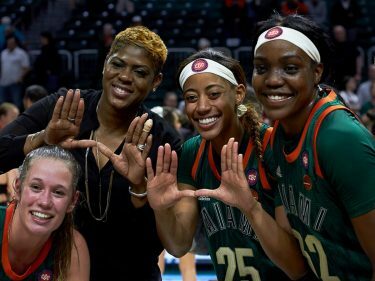 UM was able to defeat ACC powerhouses North Carolina, Virginia and Duke during the regular season to finish with an overall record of 20-10 and 10-8 in the conference. The ranked wins elevated the Hurricanes to an eight seed for the Big Dance. However, Miami struggled heavily against teams in the conference that failed to even make the tournament, including Syracuse and Wake Forest. A consensus opinion amongst most Miami students, however, was that the Canes found a gem in freshman Bruce Brown. The combo guard displayed he could do a little bit of everything, averaging nearly 12 points, six rebounds, three assists and more than one steal per game. With maturity beyond his years, Brown played best in the biggest games, scoring a career-high 30 against UNC and 25 against Duke. UM’s 2017 recruiting class, which features five-star guard Lonnie Walker and four-star players Chris Lykes and Deng Gak, is currently ranked in the top 10 by both ESPN and 247Sports. 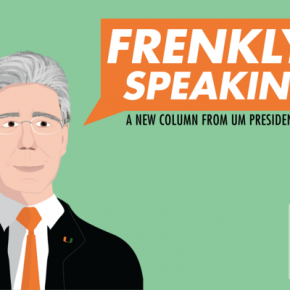 Student opinions on the future are mixed once again, between looking forward to a promising future and worrying that Miami is still missing something.